Beautiful beaches, delicious food, spectacular sunsets — it’s hard to find a reason not to extend your trip to the Gulf Coast and add more time to your Destin, Florida vacation getaway. But just in case you need a little extra incentive, we’ve compiled 10 reasons to extend your trip one extra night. 1. Chase that Perfect Sunset Photo: When planning a trip to Destin (or the surrounding area), hotels on the beach are one of the biggest draws. Think about all the things you could do with one more night — go standup paddleboarding one last time, chase the perfect sunset photo or try a new cocktail from Barefoot’s while you enjoy the calm ocean breeze. 2. Try a New Restaurant: Pair that cocktail with a nice meal. Have you tried Hadashi Sushi Bar yet? Watch Chef Kim create seafood delicacies right before your eyes. Or, indulge in a fine dining experience at Seagar’s Prime Steaks & Seafood — our AAA Four-Diamond steakhouse (the only one on the Emerald Coast!). There are so many culinary experiences we have to offer at Hilton Sandestin Beach. You’re definitely going to need at least one more night to try them all! 3. Avoid the Office: Vacations are never long enough. 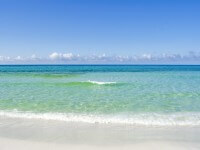 Is your work schedule preventing you from spending one more night at Hilton Sandestin Beach? Why not bring your office to paradise? With high speed internet access throughout the resort, and a Connectivity Center with computers onsite — there’s no reason to rush back to the office. 4. Catch Some Jazz Piano: We offer live jazz piano in Sandcastles Lounge for our guests to enjoy. Hours and dates vary — book an extra night to make sure you can pencil the soothing melodies of a baby grand into your agenda. 5. Greet the Day with Sunrise Yoga: If you stay one extra night, that’s one extra chance to catch some early morning yoga on our sunrise deck. This relaxing, outdoor yoga class is the perfect way to start the day feeling refreshed and rejuvenated. Namaste! 6. More Pancakes: Did you take advantage of our Sandcastles breakfast buffet? How can you turn down one more morning of custom omelettes and oversized waffles? 7. Take Advantage of Your Guest Perks: Every guest at Hilton Sandestin Beach receives an exclusive shopping pass from our partners at Silver Sands Premium Outlets and Grand Boulevard upon check in. Redeem your Hilton Sandestin Beach voucher at the outlets for a savings passport full of exclusive discounts and of course enjoy the complimentary shuttle service from the resort. Or shop, dine and play at Grand Boulevard with a variety of exclusive offers for our guests, a complimentary shuttle is available to take you here as well. 8. 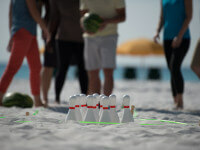 Explore Off-Resort: We know there is plenty to keep you occupied right here at the resort. But the surrounding area has so much to offer. Take a drive down scenic highway 30A and explore adjacent beach towns each with their own unique personality. Explore the coastal dune lakes unique to this area or r head to nearby Destin, Florida. Vacations on the Gulf Coast offer so much to do and see — you could always use another day to explore! 9. Don’t Rush the Relaxation: Our resort features the world-class Serenity by the sea Spa. If you book an appointment at Serenity, plan to spend at least a few hours (maybe even the whole day!) at the spa, we insist you don’t rush the relaxation. Take advantage of healthy snacks available to you, read a magazine in our zero gravity chairs or just sit around in your plush robe! Spa time is definitely a valid reason to extend your vacation one extra day. 10. Memories: Many of our guests return to the resort time and time again because it’s the backdrop for so many family traditions and memories with loved ones. You never know what might happen if you stay one more night — you could create a memory that lasts the rest of your life. 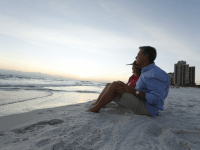 There is only one Hilton Sandestin Beach...when you’re here, you’re creating memories. Visiting Destin? Our hotel on the beach is a favorite among visitors to the South Walton and Destin area. 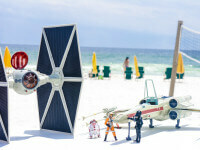 Check out our Destin, Florida vacation packages and plan your trip today!